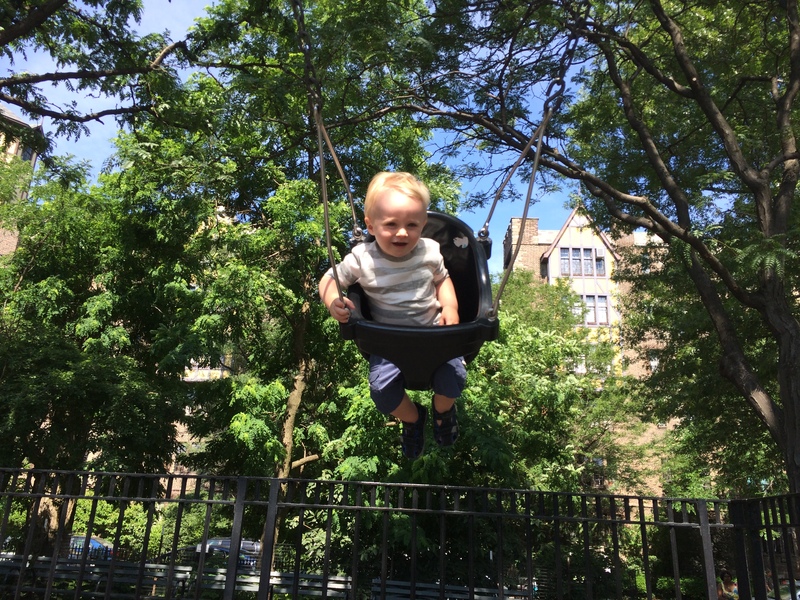 what else to do on a sunny, sweltering, 90 degree day but head outside, right?!? 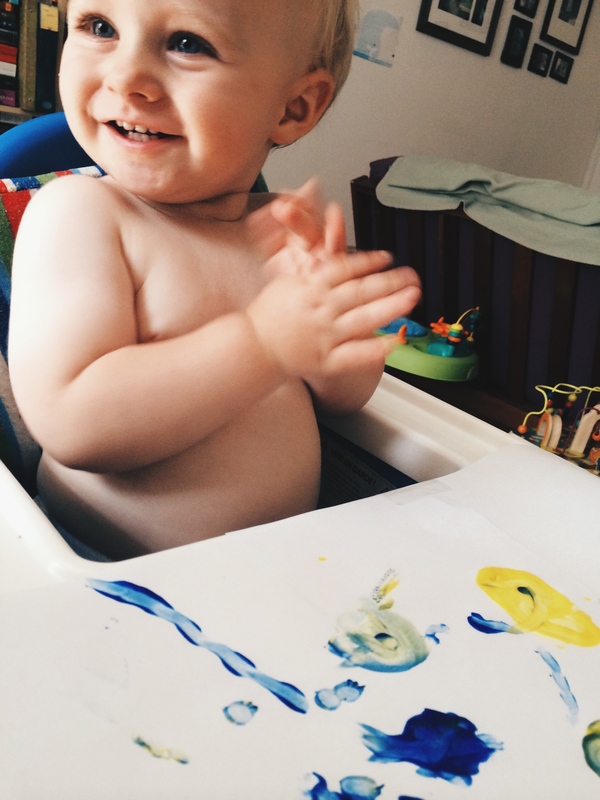 and after we had enough swinging and sweating, we returned home and busted out some fingerpaints. 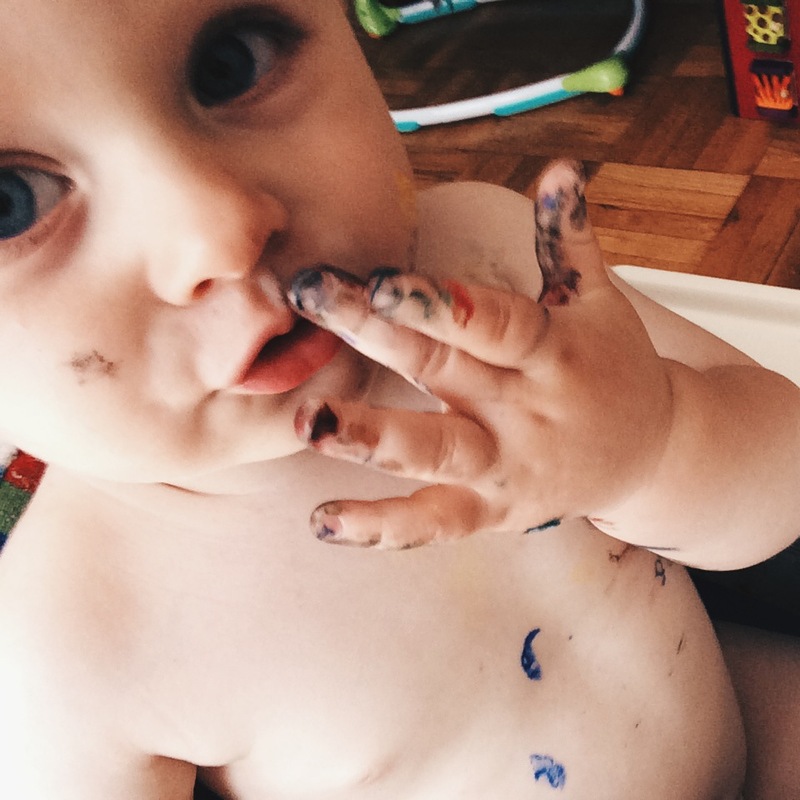 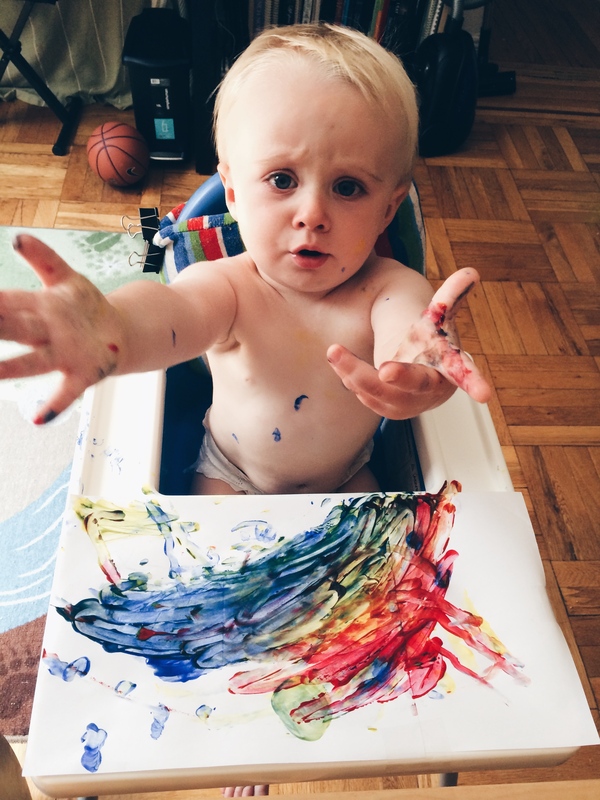 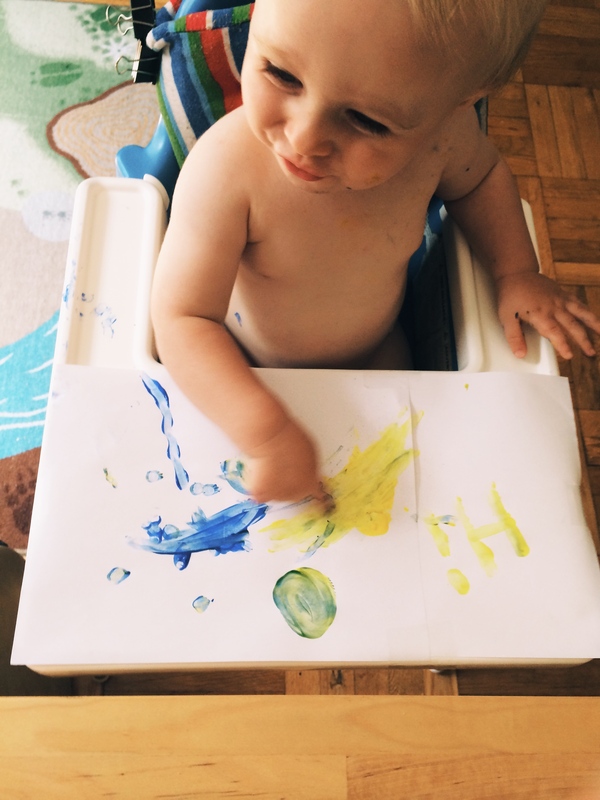 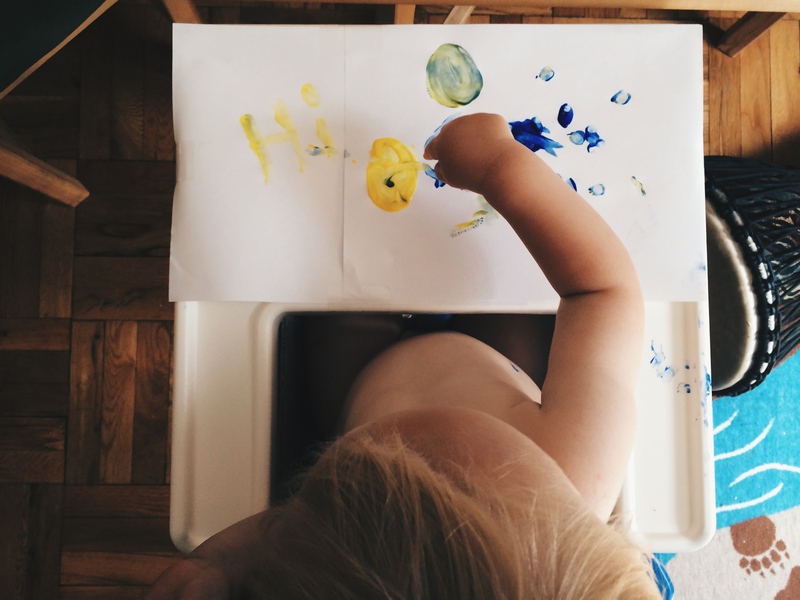 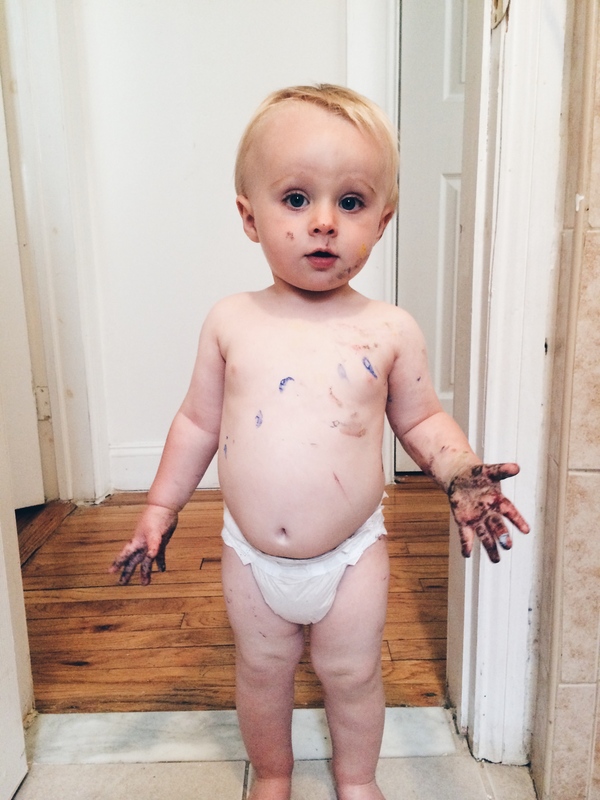 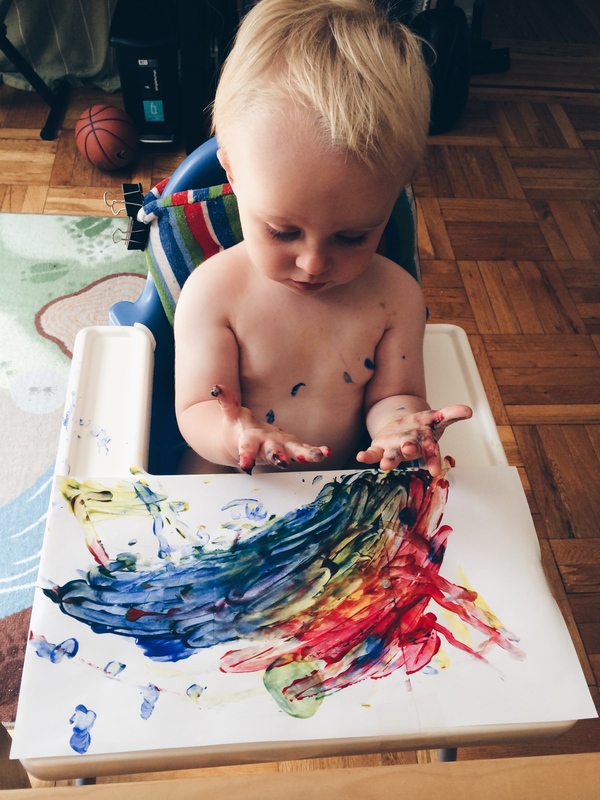 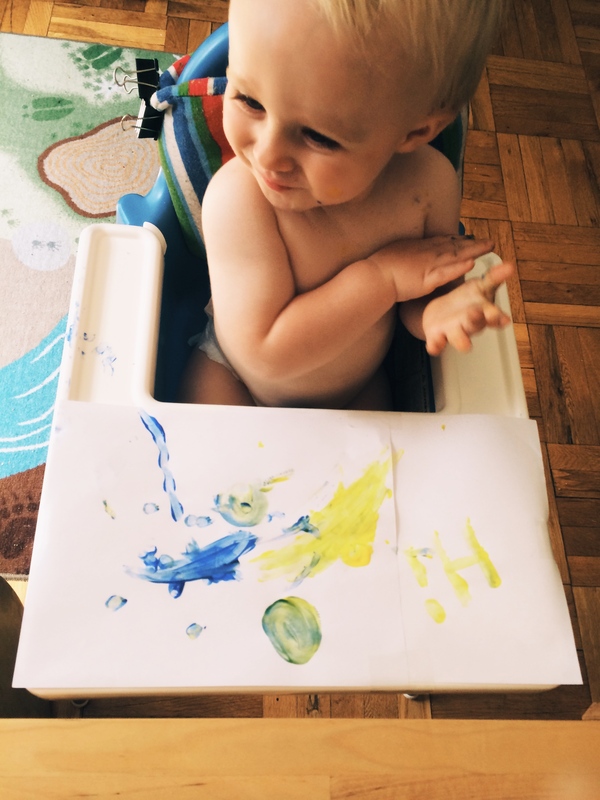 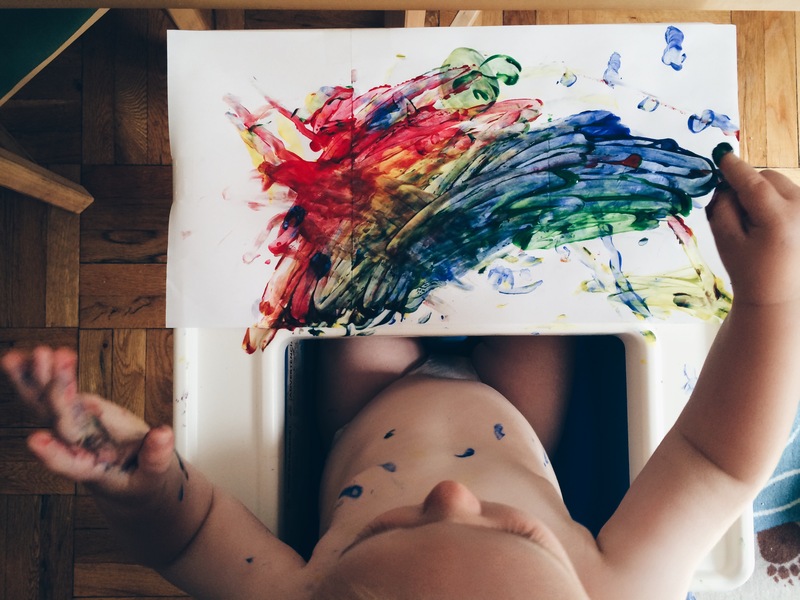 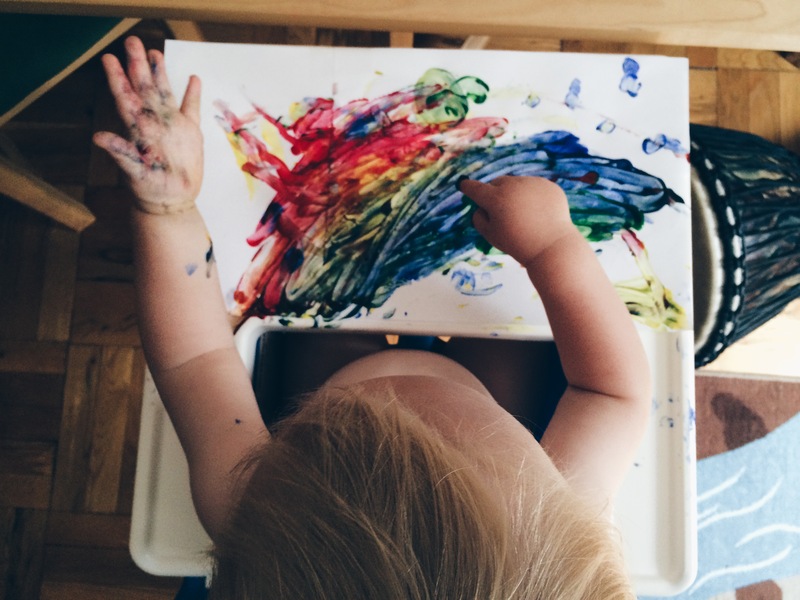 what to do with a little one covered in fingerpaint? 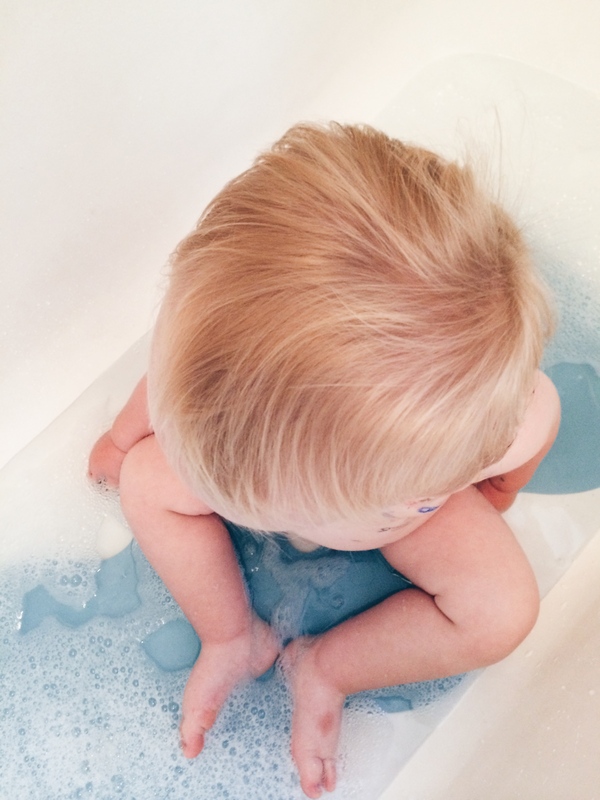 throw him in the bathtub, of course.